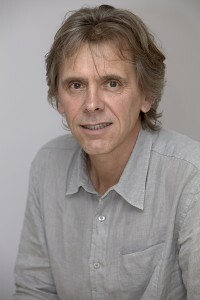 Jean-Loup Bascands received his PhD from the University Paul Sabatier, Toulouse, France, in 1985. From 1983 up to now he worked as a scientist in the field of nephrology and was recruited as a research engineer at INSERM, in 1987. Between 2004 and 2016, Jean-Loup Bascands was a director of research at the Renal Fibrosis Lab, INSERM U1048. In 2016, he joined the new INSERM U1188 DéTROI group in Reunion Island. Specific macrophage subtypes influence the progression of rhabdomyolysis-induced kidney injury. Belliere J, Casemayou A, Ducasse L, Zakaroff-Girard A, Martins F, Iacovoni JS, Guilbeau-Frugier C, Buffin-Meyer B, Pipy B, Chauveau D, Schanstra JP, Bascands JL. J Am Soc Nephrol. 2015 Jun;26(6):1363-77. Label-free quantitative urinary proteomics identifies the arginase pathway as a new player in congenital obstructive nephropathy. Lacroix C, Caubet C, Gonzalez-de-Peredo A, Breuil B, Bouyssié D, Stella A, Garrigues L, Le Gall C, Raevel A, Massoubre A, Klein J, Decramer S, Sabourdy F, Bandin F, Burlet-Schiltz O, Monsarrat B, Schanstra JP, Bascands JL. Mol Cell Proteomics. 2014 Dec;13(12):3421-34. Blockade of the Kinin B1 Receptor Ameloriates Glomerulonephritis. Klein J, Gonzalez J, Decramer S, Bandin F, Neau E, Salant DJ, Heeringa P, Pesquero JB, Schanstra JP, Bascands JL. J Am Soc Nephrol. 2010 Jul;21(7):1157-64. In vivo bradykinin B2 receptor activation reduces renal fibrosis. Schanstra JP, Neau E, Drogoz P, Arevalo Gomez MA, Lopez Novoa JM, Calise D, Pecher C, Bader M, Girolami JP, Bascands JL. J Clin Invest. 2002 Aug;110(3):371-9. The B1-agonist [des-Arg10]-kallidin activates transcription factor NF-kappaB and induces homologous upregulation of the bradykinin B1-receptor in cultured human lung fibroblasts. Schanstra JP, Bataillé E, Marin Castaño ME, Barascud Y, Hirtz C, Pesquero JB, Pecher C, Gauthier F, Girolami JP, Bascands JL. J Clin Invest. 1998 May 15;101(10):2080-91.